Why ECEEN 10W Solar Panel Charger is the Best Choice to you? 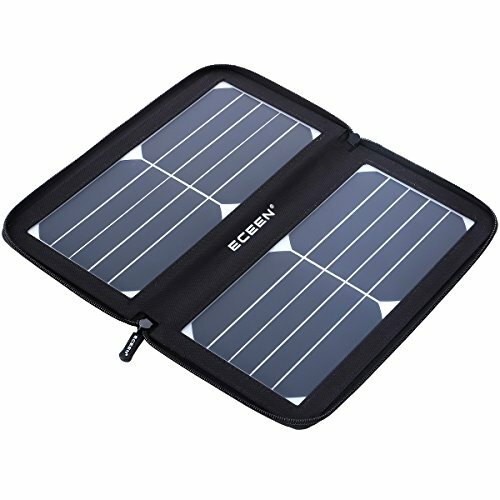 The ECEEN 10W Solar Panel Charger is the most advanced folding solar panel charger on the market. There are so many solar panels in market, such around 14watts, 20watts etc. But most phones input design are 1A input limited, consider weather conditions, ECEEN 10Watts output 1.5A is enough, it’s more smaller and light weight on outside, why not save your money? If you have any questions about this product by ECEEN, contact us by completing and submitting the form below. If you are looking for a specif part number, please include it with your message.